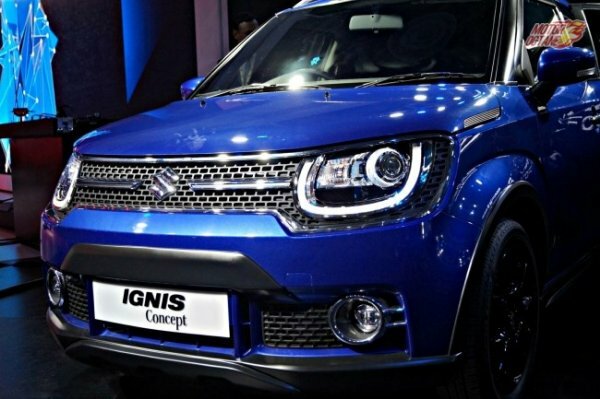 Maruti Suzuki Ignis is the new super compact SUV. Expected Launch Date in Dec-16. Maruti Ignis Price(Expected) start with 5.5. 1.2-litre petrol and 1.3-litre diesel engine which generate 75-80 bhp, fuel efficiency figure between 18-23 Kmpl. 3,700mm in length, 1,660mm in width, 1,595mm in height, 2435mm in wheelbase and feature 180mm of ground clearance. The car will also get LED daytime running lights.